Increase the beauty and health of your house with power washing! Years of dirt and grime can build up on the outside of your home and office hiding the beauty and color that it originally offered. 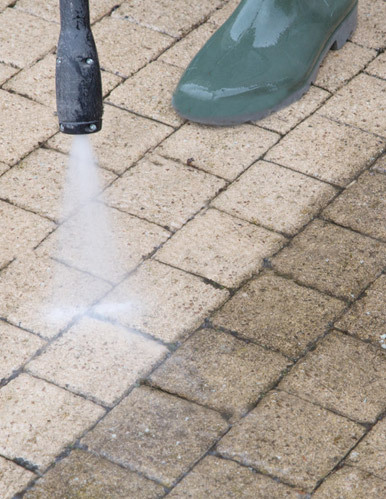 Pressure washing can effectively remove mildew, dirt, algae, pollution, mold, oil and gasoline stains and can extend the life of a roof and gutter system. Commercial buildings and truck fleets can also take advantage of pressure washing to always look clean and professional. Contact us today for a free estimate and make your house shine with power washing! So far, Bruce, and his team, have done a great job on our home upgrade project. We are in the middle of our first project now. A true professional Bruce has been on time, super clean and in budget while providing excellent quality workmanship. Always accessible, Bruce addresses all of my questions and concerns in a timely manner, a very important point for me. Highly recommended!